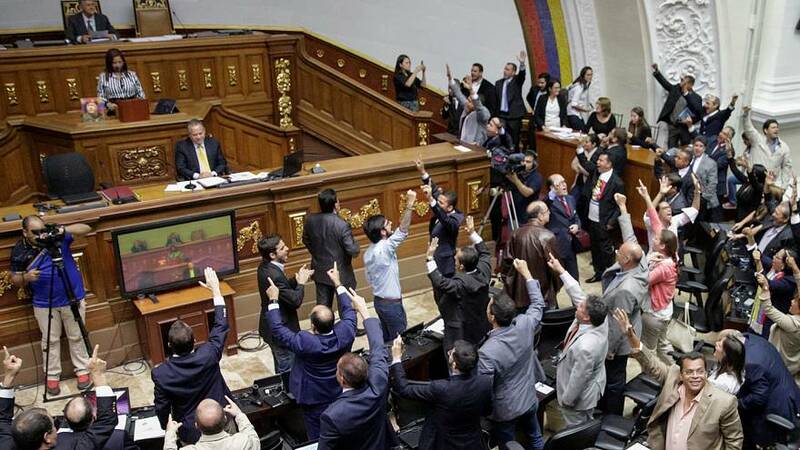 Supporters of Venezuelan President Nicolas Maduro stormed Sunday’s opposition-led National Assembly session in which lawmakers vowed to put Maduro on trial for violating democracy, days after authorities nixed a recall referendum against the unpopular leftist president. The session was briefly interrupted when around 100 apparently pro-government protesters stormed in, brandishing Socialist Party signs and shouting “The Assembly will fall!” before officials herded them out. At least one assembly worker was injured, sporting visible bruises to his head. The opposition also said there were reports of theft.